We have all heard how confidence has been lost in the financial markets as a result of the recent events in the global banking sector, but how is that affecting the confidence of the individuals who are having to live with the consequences? For the last ten years I have dealt with many thousands of people dealing with a personal debt crisis, and whether this is a result of action they have taken or through no fault of their own, one thing is clear there is a significant number of people who find that their confidence levels drop dramatically, much in the same way that people confidence levels increase when they win or inherit a life changing sum of money. 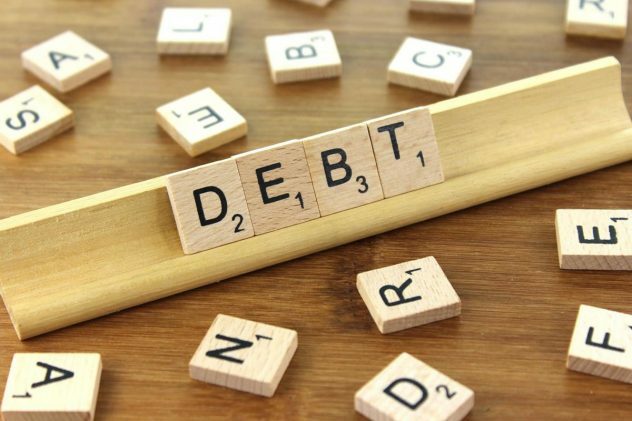 Men and woman both cope very differently with issues surrounding debt; Men will have a tendency towards hiding away from their problems and are far more likely to hide issues from their partners and family, they will become very defensive and look for others to blame. Women are far more likely to face the problem head and will seek advice quicker than their male counterparts, woman are better equipped to release their emotions allowing them to take faster more positive steps towards resolution. Understanding your problems will allow you to take control of your problems, which in turn will give you back your confidence. Sit down and take a stock of your full financial position and work out just how much debt you have, don?t be afraid of the results it is what it is, you will be amazed just how therapeutic it is to actually take stock of your situation, then simply work out how much money you have to spend on your debts each month, again don?t worry about how little you have, if you can spend hundreds of pounds clearing debts each month that?s great, but if you only have a few pounds that?s great too, the important thing is YOU are now in control of your money and not the other way round. You can then start to TELL your creditors what you can afford to pay each month. You can if you wish use our financial planner at www.SurvivingTheCreditCrunch.org.uk. If you can share your concerns with your partner of friend, and remember you don?t have to battle through alone. 1. If you find yourself becoming angry or upset you may find it helpful to take time out, even if only for five minutes. Try to relax your muscles and calm yourself down by slow, deep breathing. A healthy diet will help prevent you becoming overweight and will reduce the risks of other diet-related diseases. Keep smoking and drinking to a minimum and try doing some form of physical exercise, even if it’s only a daily walk to the park. Take time to relax. Saying `I just can’t take the time off’ is no use if you are forced to take time off later through ill health. Sleeping problems are common when you have stress, but try to ensure you get enough rest. Talk about your problems with friends and family, they will often be able to offer great advice and support. Of your finances, once you are in the position of your finances controlling you rather than the other way round it can be difficult to trust your own judgement, follow our exercises bellow and you will begin to regain control and in turn regain your confidence. Don?t think that just because your circumstances have changed that you won?t be in a position to save and nest away cash for the future, an important part of budgeting your monthly outgoings is making sure you make a provision for some sort of savings, it really doesn?t matter if you can only save a few pounds each month, you will be surprised at how quickly small amounts grow into large amounts. Even just using a piggy bank to save the pennies and then periodically taking those pennies to the bank will help you gain that feeling of being back in control. A great way of restoring your confidence with money is to adopt a more through approach to your purchases and investments than you would normally undertake, don?t be afraid to ask for discounts on every days items, shop around and make people work hard for your cash, after all you do! Use one of the many price comparison sites out there to help you find all the best deals. This will not only help you feel back in control but it could save thousands each year. Don?t dwell on the now too much, as soon as you take the decision that you want to be back in control visualise your future and everything you want it to be. Sit down and write down all your plans for the future, lay out an action plan for how you intend to tackle your financial problems, share your vision with friends and family and ask for their input and support. You won?t be able to change your future until you can see where it is, once you have your plan look forward to it each day and walk towards it with your new confidence, and remember be prepared to change your plans and compromise to ensure success.